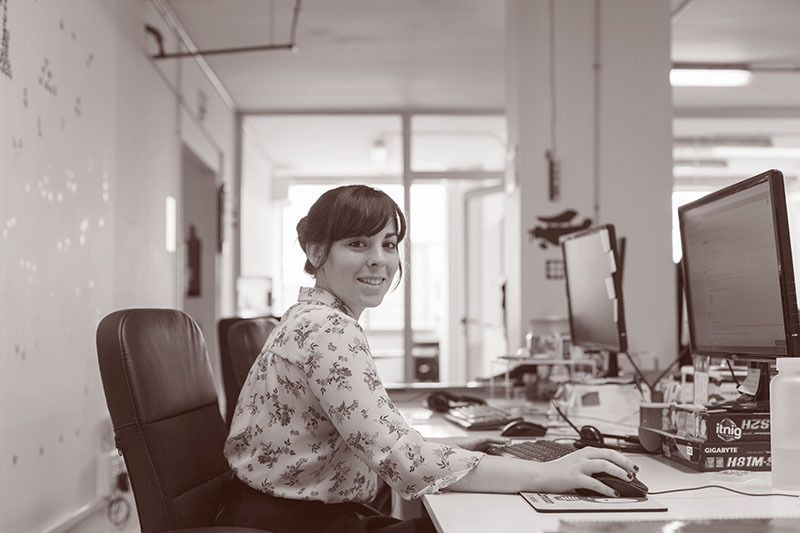 Carolina Puertos joins our customer support team! Tell us about yourself in a couple of lines. Hello! My name's Carolina, I'm 23 years old and originally from Valencia. Last October I moved to Barcelona after spending a year and a half in freezing Slovakia! I offer customer support to UK clients, as well as occasionally for French and Spanish markets. First impression of the company? From the off I really liked Camaloon's young and dynamic spirit. The employees received me warmly and gave me a lot of support settling in. I felt part of the team from day one. I like working with people from different places. I think diversity brings a lot of value to a team. In P.E. classes, I once hid behind a tree for an hour to get out of cross-country running. Sport is definitely not my thing! By the way, the teacher never noticed that there was a running missing!